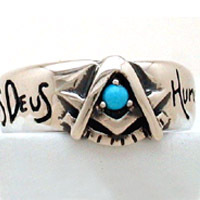 Brothers, let me tell you about this ring. At first I wasn't sure about it...as it's so different from other masonic designs out there. But there is something very special about it when viewed in person. The design is sophisticated and subtle, and exudes class. I highly recommend the lettering on the sides...it is so beautifully done by Bro. Andrew. 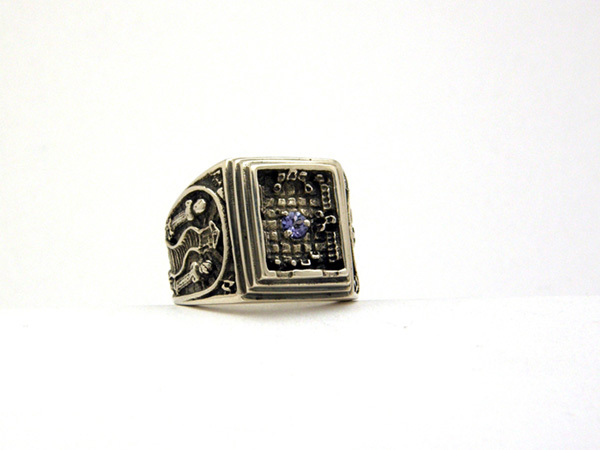 Lastly, there is a noticeable energy and warmness within this ring while I'm wearing it. It is a work of art from a master craftsman. I just received my Brotherhood ring in the mail and I was absolutely thrilled with everything. You kept me posted throughout all the steps of making the ring and I was completely blown away when I finally received it. 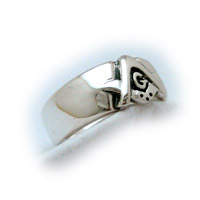 I'm anxious to see the brothers this week and show them the ring as well as the catalog that came along with it. I'm positive that they will be placing some orders in the near future, and I certainly will be placing more as well. Thanks again for the great work!! My Brotherhood ring arrived, silver-smooth sides w/ Alexandrite, and it is stunning. I have collected several of Bro. Drew’s pieces over the years and each one is a true work of art. Each has an inner “vibe” all it’s own and is unique in ways you will not find in mass produced jewelry. Knowing that Bro. 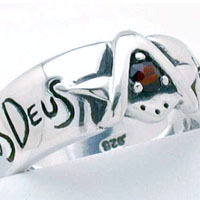 Drew has fashioned each piece personally from start to finish just adds to the enjoyment of owning one of his rings. As always, Drew took the time to answer all the questions I sent his way. 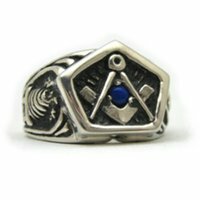 It’s just a really great way to enjoy Masonic fellowship as Brothers when choosing what you want your ring to mean to you. Just really, really cool. I have the Alexandrite stone and the way it changes color in various lighting situations is amazing. (I am color-blind and I can still tell the difference based on whether I’m inside or outside. It’s worth it.) 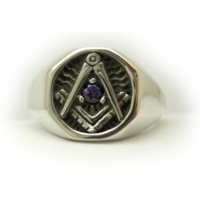 If you are looking for your Masonic ring or piece of fine jewelry, you’ve found the right place and the right artist to make it happen. Thanks again Drew!